We make the things incredibly easy and powerful. All you need to comunicate to your clients. A powerfull tool that saves time, keeps your channel up to date and best of all, not require technical skills. 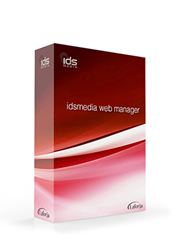 IDSMedia, Event Rooms Manager and Simple Click Editor, three tools that make the difference. 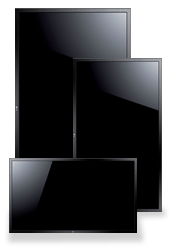 We offer Samsung, LG and NEC professional displays ready to operate 24/7. We dress our screens with simple but fashion style line furniture to offer great expierience. 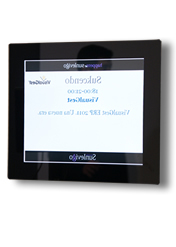 Is the definitive Digital Signage solution for your hotel. It is a very powerful tool but incredible easy to use. Calendar based application to ease schedule your events at the hotel everyday. IDS Hotel will work unattended accordingly to the events happening in the hotel with no human interaction. Let the people of the hotel manage the changing information. Designers set up the templates and the users can update messages with only one simple click. We have been working with our clients for more than 25 years, improving our product day by day, thanks to the invaluable feedback by all of them. © 2018 All Rights Reserved. Made with by Laforja Sistemas, S.L.